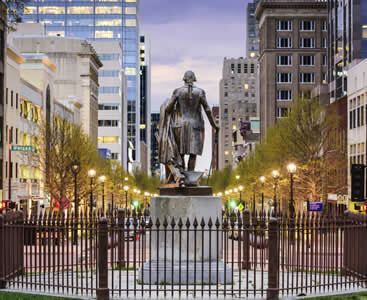 As you travel to Raleigh one of the first things you will notice are the historic buildings. The area is also infused with technology and pharmaceutical companies which give it a unique old-world meets modern technology feel. It is a hot spot for entrepreneurs and is surrounded by some of the best universities in the country such as NC State University and Duke University in the neighboring city of Durham. The city has over 200 parks which offer endless entertainment for small children including walking and bike trails for those trying to keep fit or simply to get out for the day. You can find airport shuttle services in Raleigh that can get you to many destinations near Capital Blvd. and along Glenwood Avenue. You can book private limousine services from professional drivers ready to get you to your needed location or save money by riding in a shared ride van along with other passengers. 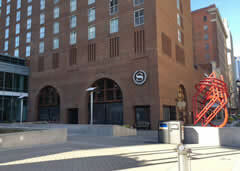 The N.C Museums of Art and History are both in close vicinity. The N.C Museum of History has some amazing exhibits of the colorful history of North Carolina at about 15 miles away and N.C Museum of Art is about a 10 miles drive from RDU Airport and features some of the best collections of the South. The Martin Luther King Jr. Memorial Gardens provide colorful scenery consisting of a variety of shrubs and trees and blossoming plants. And standing in the midst is a life-size bronze statue of Dr. King. This historical place is situated is less than 20 miles from RDU. If you have kids with you, visit the Pullen Park is just over ten miles from the airport. It is a downtown park and its highlight is the 1911 antique carousel. It has train rides, kiddie boat rides and fee is quite small. If you are into architecture you could visit the Greek revival architecture of the State Capitol built in 1830’s and also the North Carolina Executive Mansion. You could get brochures which list all the nearby attractions in the city from the airport. Located at about 5 miles to the northeast of Morrisville town in the Wake County, the Raleigh-Durham International Airport is the main airport that serves Raleigh, Durham and the surrounding region of North Carolina famously called as the Research Triangle. Apart from offering excellent customer services it also offers free Wi-Fi, business center and information desks till midnight. If you get a layover at RDU airport and have plenty of time, you are in luck. Most of the popular places are situated at about less than 20 miles from RDU airport so it is best to rent a car, as going by taxi will cost more. The Raleigh-Durham International Airport is home to North Carolina’s biggest airport, forcing large hordes of crowds to flock into downtown or other surrounding areas by contacting us for a shared ride van. Get a lift as soon as you step off your airplane and exit toward the pick-up location – when you’re all done getting ready at your hotel, call your drive and have them pick you up outside the lobby for a fun day of endless Raleigh activities. As the capital of North Carolina, Raleigh is home to a variety of historic sites and museums, including the North Carolina Museum of History, which is host to state-of-the-art exhibits on the state’s colorful past. Get there early and take a group tour by scheduling a private van for all your vacation needs. With our area ground transportation providers you’ll not only be getting a spacious and comfortable vehicle, but a reliable way to get around as well. For those looking to get in touch with the more intimate side of Raleigh, you’ll be happy to hear that there are plenty of quiet and romantic locations such as the JC Raulston Arboretum, a 10-acre garden located in the heart of the historic North Carolina State University. You can share the memory with an intimately sized group by reserving one of our many private sedans, allowing up to four passengers to comfortably get around without care and without stress. Families traveling to North Carolina for the first time will most likely be surprised for what’s in store, which is a slue of historic landmarks, educational museums, and fun sports fields. Visit Carter-Finley Stadium for an old-fashioned football game, making sure your transportation is in order – save time by getting a private vehicle, picking out an SUV for plenty of room and a five-star safety rating. For an afternoon of nature exploring, spend the late afternoon at the fascinating blast from the past, Yates Mill. 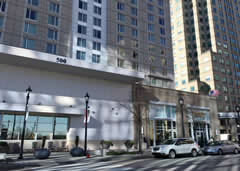 Raleigh is the capital of the state, meaning it has an upper hand on surrounding cities in terms of elegant choices. Have a ball at Stanbury’s famous Oyster Bar, a rustic-chic locale in the heart of downtown that’s known for its posh New American dishes. Book an equally luxurious stretched limousine for the delicacy, allowing you to try out the live jazz and speakeasy environment of C. Grace – don’t forget to try out the joint’s signature cocktails! Go on an iconic ride on the Pullen Park Carousel, a massive antique merry-go-round built in 1900 that’s big enough for pretty much any sized group. Whether you’re a sports team looking for fun or a fan club of some sort of counterculture with our shuttle providers is the way to go for transporting several individuals. At night, spend the evening strolling through the modern Triangle Town Center, a brand-fueled shopping mall located off Highway 1. Besides being the state capitol Raleigh is a city rich in history and culture. You can find many trolley tours of downtown Raleigh that can take you on a trip through American history. From its many historic buildings to its Civil War landmarks, sightseeing is a popular thing to do while visiting the area. → If you want to truly absorb the city of Raleigh you first need to find out about the history of the area. Located in downtown Raleigh, the North Carolina Museum of History takes you on a walk through the complete history of North Carolina from the first flight to its contribution to modern technology and medicine. You can learn about the original settlers of the area as well as pirates such as Blackbeard who landed on its coastline. Admission is free so bring your whole family and have fun while learning. → Recently refurbished, this amazing park near North Carolina State University is the fifth oldest working amusement park in America and is sixteenth worldwide. There are train rides, a place to buy lunch and plenty of grass to have a picnic with the family. The park also has pedal boats that you can ride throughout its lake and kiddie boats for children to ride in. One of the most well known features of the park is the Pullen Park Carousel which was built in 1900 and is one of the oldest working wooden carousels in the country. It is easy to see why this park is a family favorite in the area. 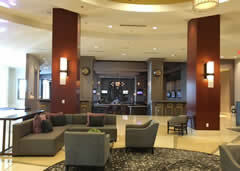 Located between the Duke Energy Center for the Performing Arts and the North Carolina State Capitol this luxury hotel is centrally located in the heart of downtown Raleigh’s nightlife. It even has a ballroom that can hold weddings for up to 300 people and can even cater the food with an experienced executive chef. Some of the more unique features of the hotel are listed below. 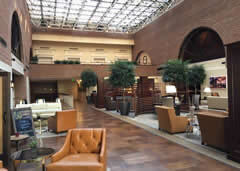 This popular luxury hotel is connected to the Raleigh Convention Center with an underground parking garage so you can easily move between the hotel and your event. The hotel features a restaurant, the Rye Bar and Southern Kitchen which features local food grown by local farmers and has a relaxing atmosphere with a fireplace centrally located in the middle of the room. The hotel also offers the following amenities.